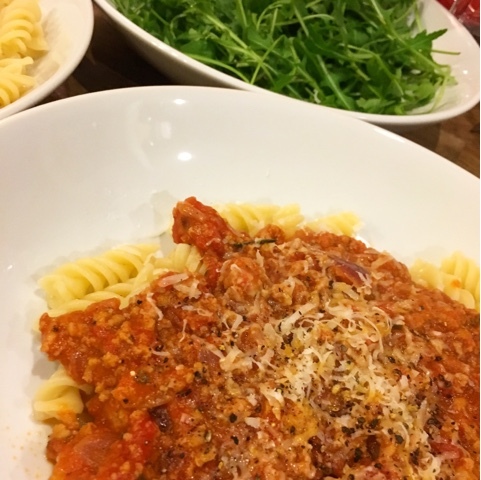 Simply good food to share from a mum who likes to feed her kids well. A guide and a little bit of inspiration for those who'd like to cook a bit more but haven't got the time or the energy to meal plan. I'll post daily/weekly updates of recipes that work for me. Good food doesn't have to involve hours of hard work and preparation. 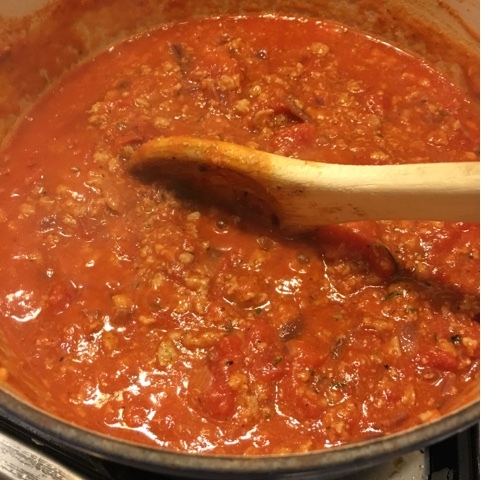 This may look like a basic ragu, the principal is the same but its actually quite a different flavour from a beef based sauce. I love the addition of the rosemary and the herby taste of the sausages. The recipe is an old one from the River Cafe Cook book, now I have remembered about it I'll make it more often. I love the Italian name for it "Penne con Sugo di Salsiccie alla Cloe". Comforting, wintery, perfect for a cold January weekend, accompanied with a nice glass of red. Unless you're doing Dry January of course. In a large saucepan, heat the oil and fry the onion until light brown. Add the crumbled sausage, the rosemary, bay leaves and chilli. Fry together over a high heat, stirring to mash the sausages. Remove all but 1 tablespoon of the fat, and continue to cook for 20 minutes. The sausage meat should become brown and disintegrate. Add the tomatoes, stir and return to the boil. Remove from the stove. Cook the penne in a generous amount of boiling salted water, then drain thoroughly. Stir the cream into the sauce along with the drained penne and half the parmesan. Serve with the remaining parmesan. I'm a married mum with two children now 18 and 17 years old. I've got time on my hands now, and want to share my passion for good food with others who have a similar interest. I don't claim to be a masterchef and certainly my writing skills are a bit dodgy. What I do claim to be is a good cook, who loves collecting and reading recipe books and magazines. I love advising friends and family on meal ideas. More over I love it when my son James who used to be the pickiest eater ever, sits down to dinner and says "Mum this is delicious". Oh and I love red shoes!